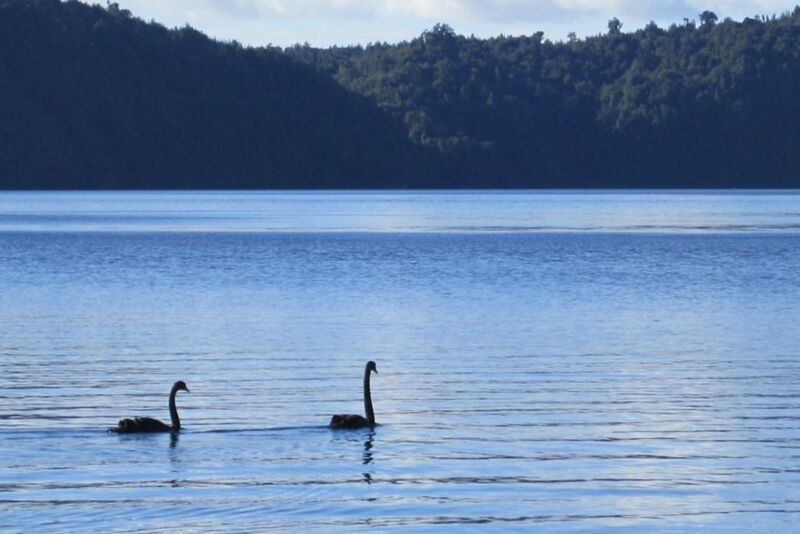 Come and relax in a tranquil setting at Gisborne point - Lake Rotoiti. Newly carpeted upstairs in Oct 16, this two-storied house has a large spacious deck, with lake views and comfortably accommodates 2 families or 3 couples. Only meters to the boat ramp. With 3 queen beds upstairs and a total of 8 beds downstairs there is plenty of living space and parking for everyone! . New BBQ purchased Jan 2016. A fishing Kayak is available but you will need a trout licence and rod. This is also a lovely winter retreat with a log fire that manages to keep going on low all night and a lovely big bay window where you can sit and bask as the morning sun pours in. All upstairs Queen beds have electric blankets. Honeymoon Bay just across the bay. Large Bay Window in dining room allowing all day sun. Safety gates for the toddler for internal stairs and stairs down from the deck. The Section has a fence and gates to prevent access to the road but there is access through a fence to the neighbour's property so the section is not FULLY fenced. Hot Pools, Bush walks and mountain biking tracks are in driving distance. Duvets, Pillows, Blankets, mattress protectors, tea towels and cloths are provided. If you would like to arrive earlier or leave later please ask. We purchased this lovely place as an extended family in 2008. We love using this property ourselves. We have had several families staying here at once, creating some fantastic memories at this property. The kitchen allows us to create homecooked meals, and we use the lake to fish, ski, biscuit, kayak, or swim. The outdoor setting adds indoor outdoor flow on a balmy summers evening. During the winter we enjoy basking in the sun the pours in the dining area through the bay window or sit by the fire playing board games or making puzzles. Tui's and Native Pigeons, and fantails fly around the property. There is plenty of room for everyone. This is a quite out of town location. Upstairs has a separate toilet. There is a shower and a bath over the shower. Downstairs has a toilet and shower. There is a small fan heater for the downstairs. It is enought to keep the chill off during the winter We also have a dehumidifier downstairs which you are welcome to use. A large section has room for mulitple cars and a couple of boat trailers. This has kayaks available for your use and wood is also stored here. We don't have room to park cars in here. Fridge freezer witha chest freezer down stairs as well. This oven runs hotter than most ovens. We suggest you use it at at least 30 degrees below the recommended recipe temperature. A full collection of various dishes including plates, serving dishes, glassware, cutlery. A solid wooden extendable table and chairs. Was so great to have a weekend away with the kids, this was no stress with 7 children and 4 adults. there were baby gates for the patio steps and to the down statirs area to reduce the stress levels. A 2 min walk to the boat ramp and the small rec area round the road. thanks for letting us use your home. The property was great for what we needed with two families and Grandma staying. The property was great for what we needed with two families and Grandma staying. In a great location by the lake and near the boat ramp. We could sit on the deck and watch the biscuiting! Downstairs great for all the kids, with lots of games to entertain, although the waterpipes were a bit noisy for them! A great place to stay - not far from the Rotorua hotspots, but still peaceful & quiet, with a beautiful outlook. House has everything you need. Ideal for those who enjoy fishing! Great views from the deck!